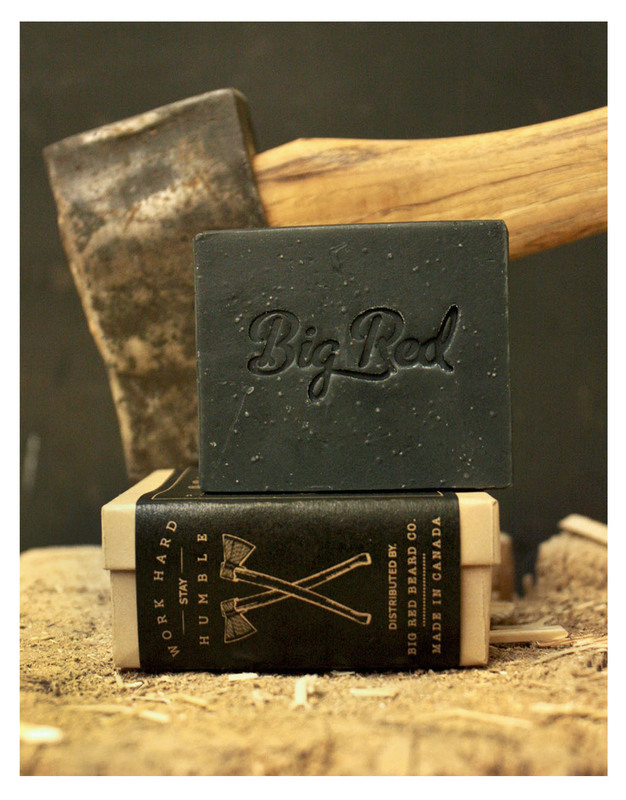 When we decided to formulate a soap for Big Red, we wanted something that could do it all in one and do it well. Being woodworkers and designers, soap making was new to us, so we consulted with an incredibly talented local soap maker, Valerie. Her knowledge of soap is endless and together we created an all-in-one soap that will keep your skin, hair and beard nourished and moisturized. 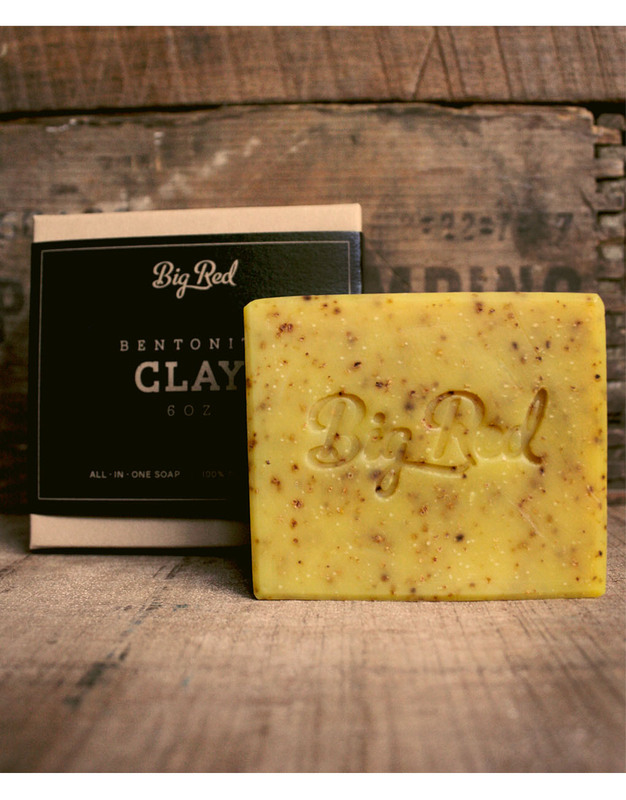 On top of that we’ve included some amazing ingredients from the earth, Activated Charcoal and Bentonite Clay. The Charcoal and Clay are both excellent for the skin, detoxifying and drawing impurities as they cleanse. During the process of formulating our Big Red Soap, we learned a lot about why natural soap is so much better than commercial soap. If you’ve experienced tight, dry skin after the shower, the culprit is most likely the harsh detergents and chemicals used in commercial soap, that strip the oils and moisture from your skin. Everything from the scent to the lather is produced with chemicals. Natural soaps are packed with butters and oils to moisturize the skin and keep it moisturized. The lather is created naturally by Bentonite Clay and the scent is produced with all natural essential oils, derived straight from plants. Best of all, you can actually pronounce all of the ingredients in Big Red Soap. Get yourself one of our huge 6oz. bars and we can guarantee you won’t be going back to that liquid soap with beads, colors, and strong colognes. Stay Clean Gentlemen.